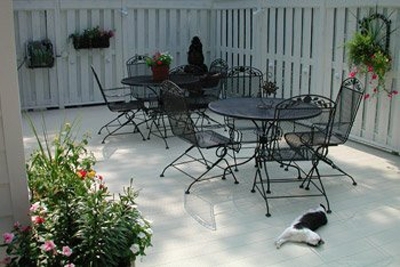 Enjoy your outdoor living with LockDry® and NextDeck® aluminum decking from Nexan Building Products, Inc. Why struggle with scraping, staining, sealing or painting wood, composite or pvc decking? LockDry® and NextDeck® gives homeowners the freedom to enjoy their outdoor deck, rather than spending countless hours and money on deck maintenance and repairs. 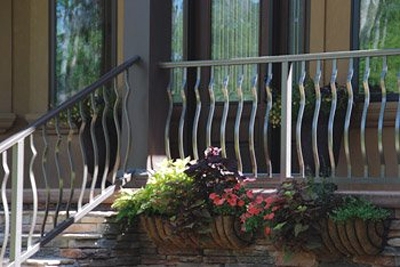 Nexan offers a complete line of pre-built, aluminum railing systems for both residential and commercial use. RailingWorks® aluminum railing systems are available in Standard and Traditional styles in Picket, Cable, Glass and Privacy infills. Deck lighting and rail accessories are also available. All railing systems are custom designed for your specific project for a simple screw and snap together assembly. ProWay® aluminum fences complement any home with a decorative, distinct appearance. A ProWay® fence offers the protection and attractiveness of traditional iron fencing without the maintenance and upkeep. Many styles, colors, and heights are available to meet any budget and need. 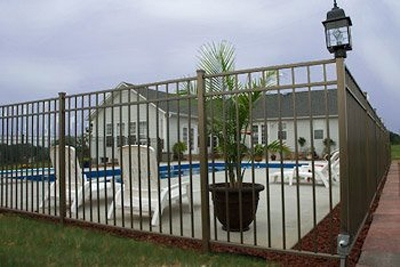 An aluminum fence from ProWay® not only adds protection and attractiveness to your property, it also adds value. 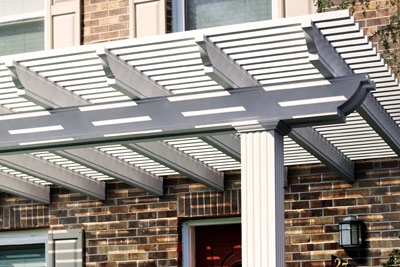 Add shade without the maintenance of wood with a Coolbreeze™ Aluminum Pergola from Nexan. Nexan’s aluminum pergolas are built to last with heavy duty, extruded aluminum coated with an AAMA 2604 certified powder coat finish. Coolbreeze™ aluminum pergolas were engineered from the ground up for added strength and hide unsightly fasteners and brackets commonly found. StrongJoist™ Deck Framing from Nexan will truly give you and your family peace of mind when entertaining on your deck. 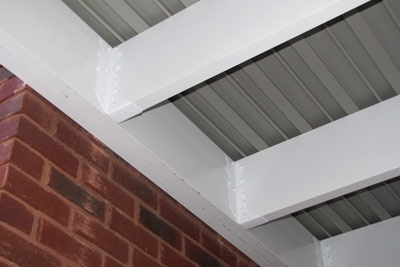 StrongJoist’s unique, extruded aircraft grade aluminum construction offers unequal strength to weight, durability and straightness. Unlike wood framing, StrongJoist™ Aluminum Deck Framing will never bow, warp and split.